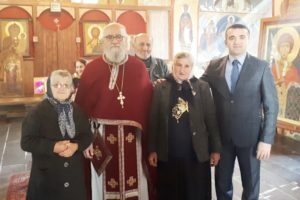 The father of Karen Kazarian, a citizen of the Republic of Armenia, who tried to commit a series of terror acts in the territory of the Republic of Azerbaijan and was sentenced to 20 years imprisonment by a court sentence, visited the Azerbaijani captive Elvin Ibrahimov on March 22. 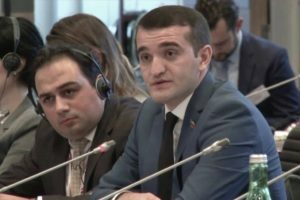 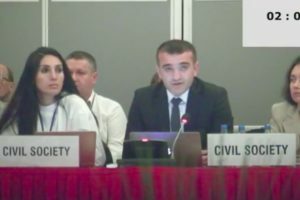 Armen Kazarian was interested in the health and condition of Azerbaijani captive Elvin Ibragimov, the Armenian State Commission for Prisoners, Hostages and Missing Persons told to Armenian press. 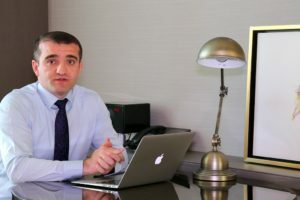 Note that a resident of Yukhari Salahli village of Gazakh region, Ibrahimov Elvin Arif oglu, born 29.10.1986, at the night of March 15-16, loosing his way crossed the border from Gazakh region to Armenia’s Noyemberyan region. 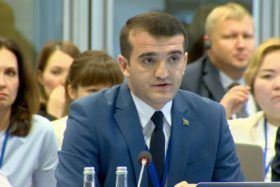 E. Ibrahimov was wounded by Armenian soldiers while crossing the border. 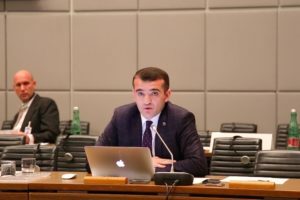 Relevant international organizations confirmed the fact that Ibrahimov was wounded and detained by Armenian servicemen and said that there was no danger for his life. E. Ibrahimov was registered in Gazakh district mental hospital.